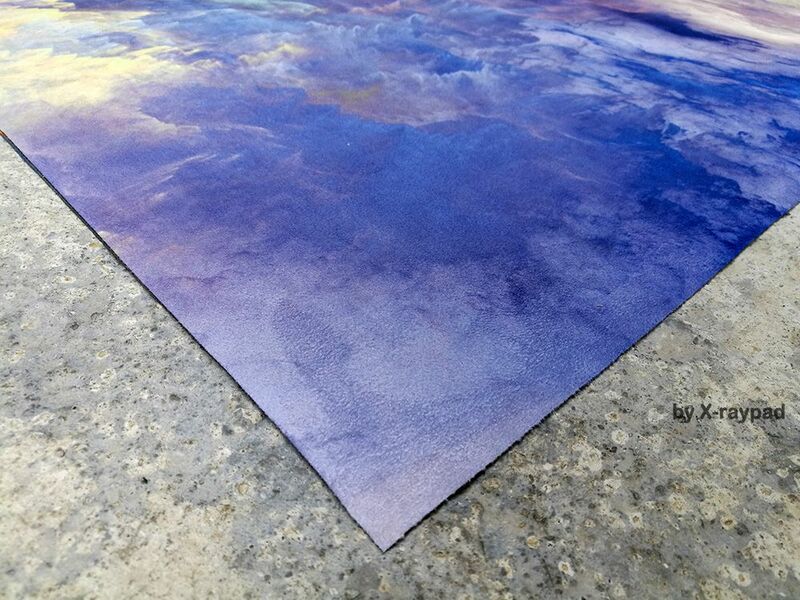 Our personalized yoga mats are supported to custom printing your own artwork onto full size yoga mat, CMYK vibrant colors, it can be a picture, branded logo or name. 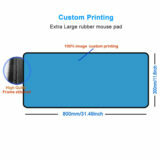 What can be printed onto yoga mat? 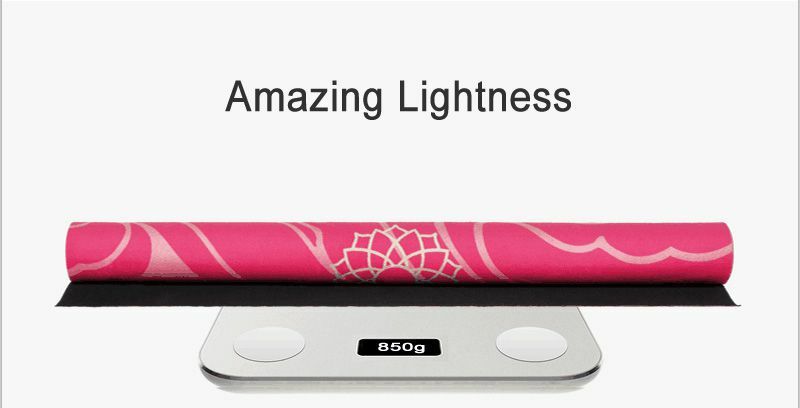 4, only 850g, less than 2lbs, light-weight. 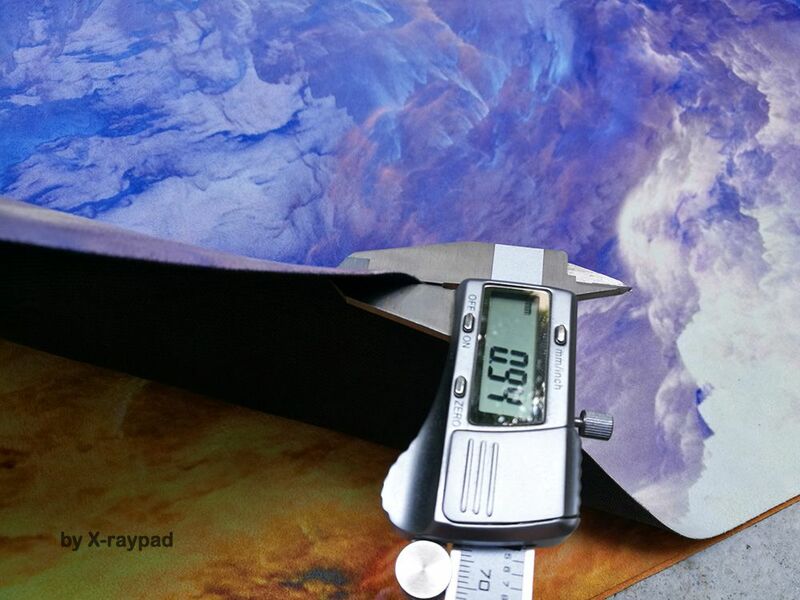 5, easy to pick up, can be fold or rolling, best for travel. 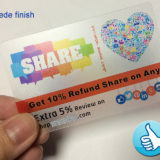 6, custom printing, no minimum order quantity. 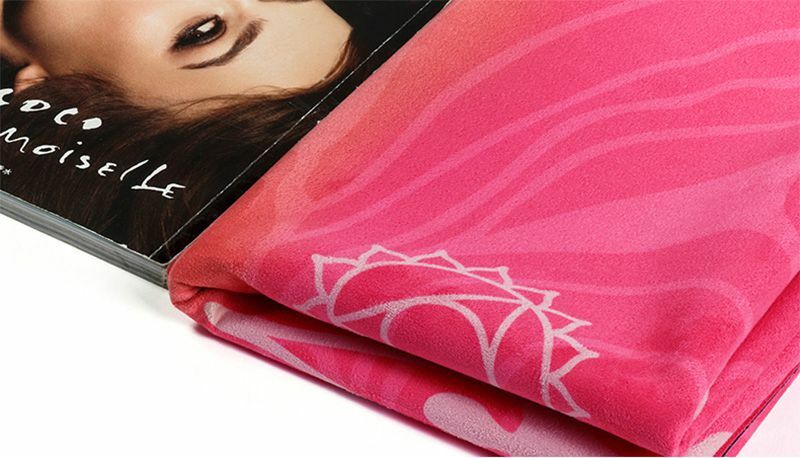 The yoga mat is made by microfiber velvet fabric(top) and non-slip natural rubber(bottom). In the practice of yoga, sweating will significantly enhance the anti-slip effect. 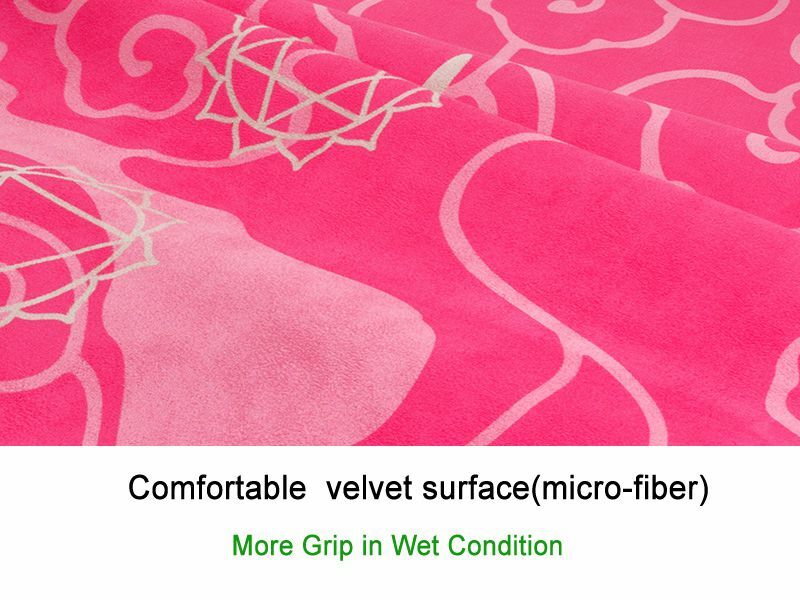 Because our microfiber material absorbs a small amount of moisture, it can increase the friction between the cloth and the palm of the hand (the body’s contact area). As we all know, car tires are made of rubber, so the rubber grip is very good. 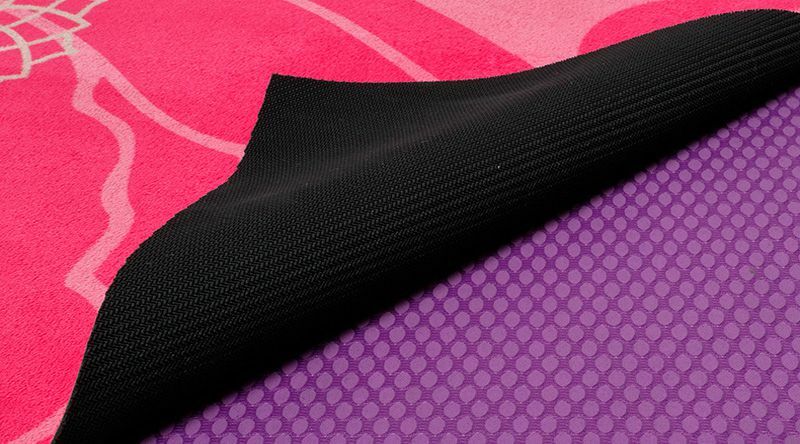 The bottom of our yoga mat is made of rubber. 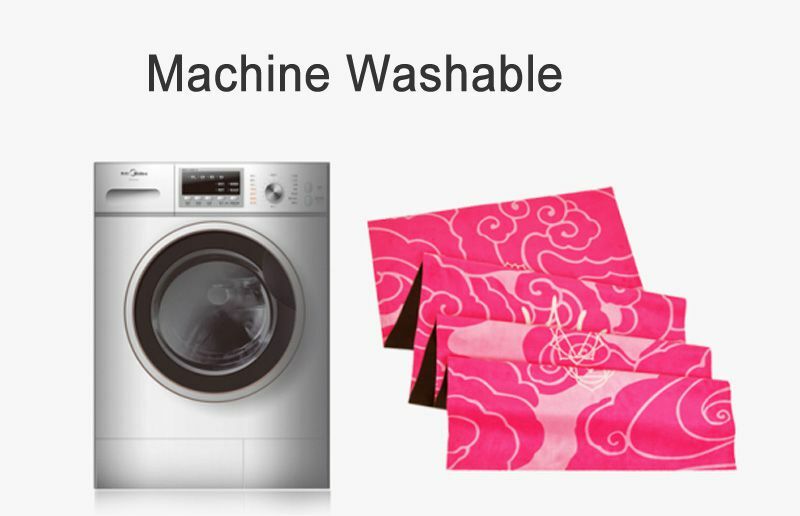 Our microfiber is very easy clean up and durability. You can put it into a wash machine for clean. It’s less than 2 lbs, very lightweight and folding to small size(like magazine size), so it’s very easy to pick up in travel or any place. 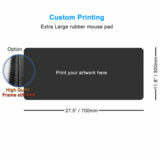 • Download artwork template of personalized yoga mats. 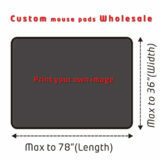 • Save your image as a JPG or PDF. 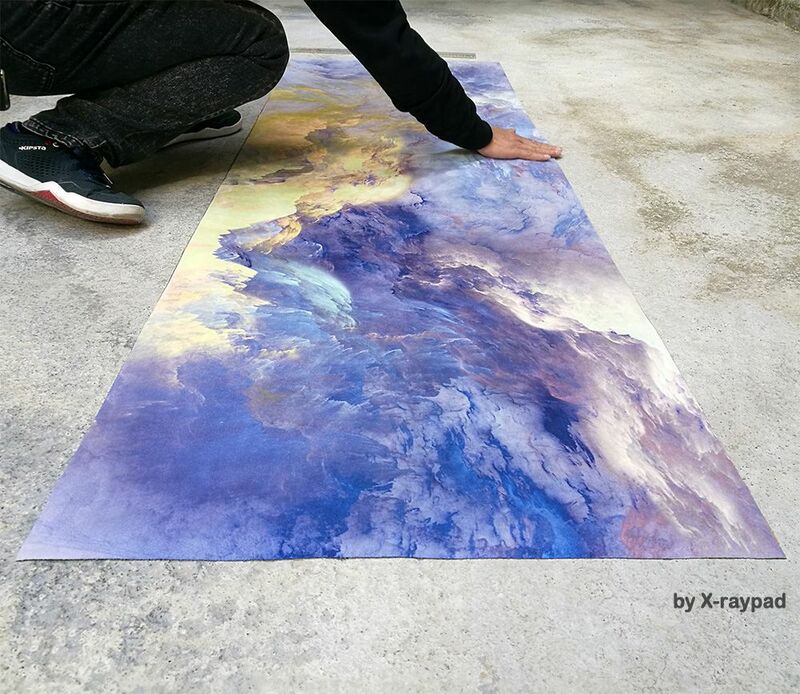 Our exist yoga mat designs: you can choose one of them, add your name or logo on it. And tell us where shall we pint your logo on personalized yoga mat. 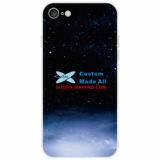 If you can’t open our template file or don’t know to edit artwork file, just send us your image or logo. We will edit it freely for you and send you the preview file of personalized yoga mat for approval before our production.